I wear glasses (part of me feels like that's a confession - ha!). When I was young, it was the bane of my existence. Perhaps it's because I grew up in a very small town and the selections were slim to none, but I feel like the fashion world has finally shown mercy on us weaker-eyed specimens (some even aspire to be us - you've seen that right? Models and super chic peeps sporting glasses just because). Whatever it is, I'm seeing more and more cute glasses. And I feel encouraged to change my glasses like I change my outfits. Sweeeet. 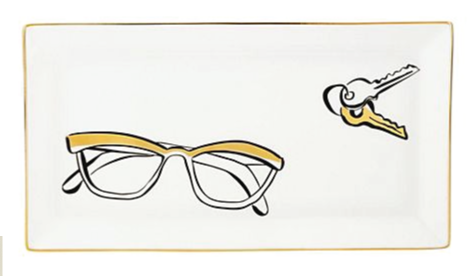 In fact, Nicole at Making it Lovely often includes a pair of glasses in her style posts like this one or this one. So fun. In any case, I was doing a little browsing the other day - for bookends, actually, and came across these darling little owls. Serious love. And the best thing about them? The glasses. So it got me to thinking and scouring and searching. 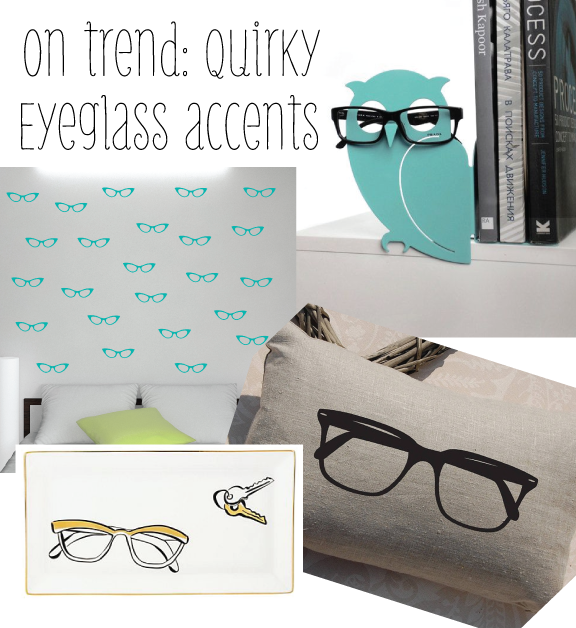 And I've put together a fun little round up of great quirky accessories featuring eyeglasses, big and small, retro and contemporary. 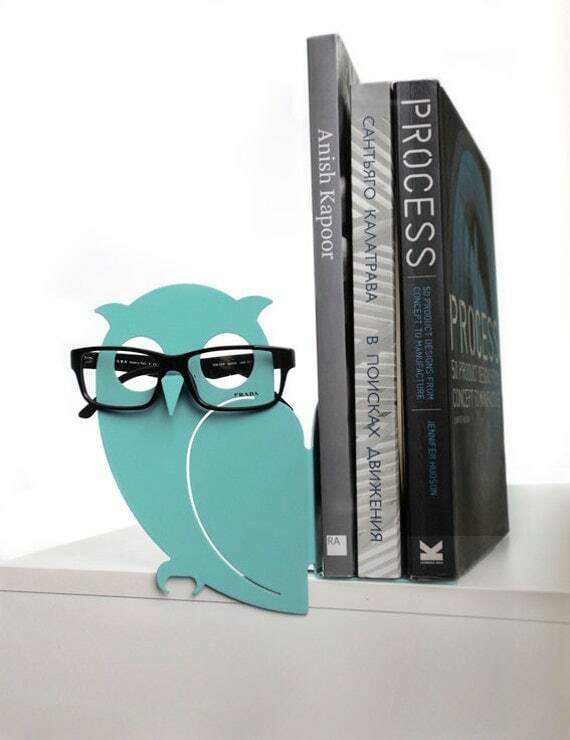 Mint Owl Bookend and Eyeglass Holder from Uligo. Can't get over those glasses. Goodness. featured on their home page right now. So cute. Retro Glasses Linen Cushion from Acacia Design. If my husband would allow a pillow to share real estate on his reading chair, this would be it. Just sayin'. 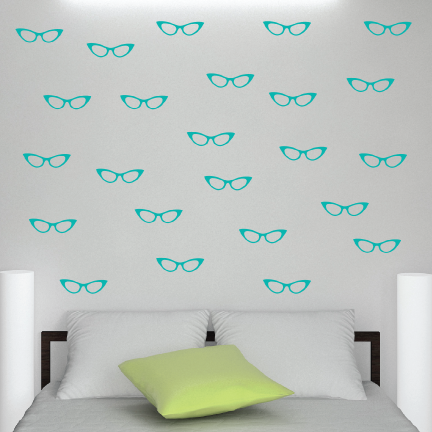 Such a fun accent in any room - but perhaps especially for a reading nook, eh? Quite A Spectacle Necklace from Anthropologie (of course). Sadly, no longer availalbe. But think of the DIY possibilities - now that's quirky. 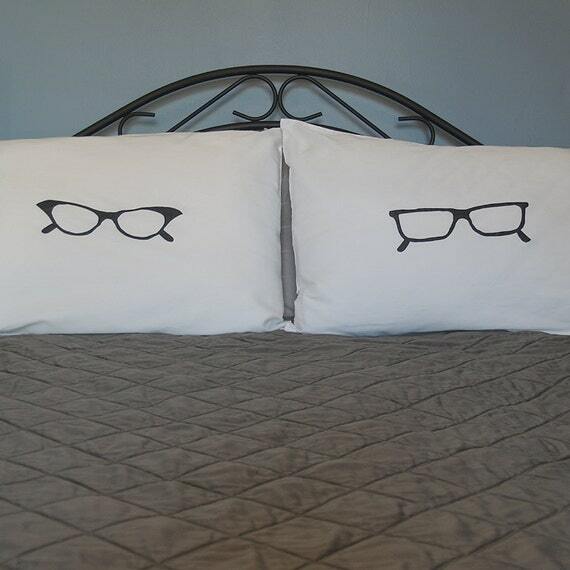 Speaking of DIY, MetalandMud has a great tutorial on how to make these darling His and Her Glasses Pillowcases or, if you're not feeling super crafty, you can buy them in her Etsy store. Perfect.